My wife Karin and I were driving from Cognac to Bordeaux. I suggested to my wife that she would take half an hour to get to the Atlantic coast. 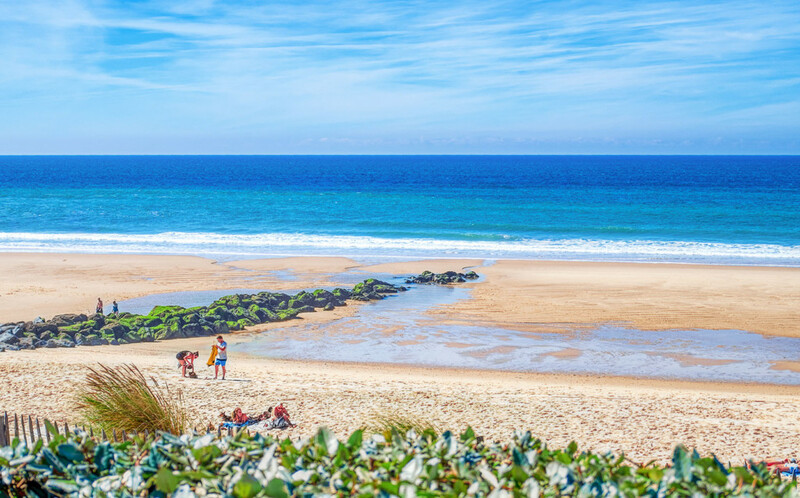 We did not expect that we will see such a wide sandy beach with the blue sea of the Atlantic. So I could add some beach photos to my collection.